Who is the Illuminati? It depends on who you ask. Conspiracy theorists speculate that they are a secret society that holds supreme world power. They believe Illuminati members manipulate various essential world organizations in an effort to brainwash and use the majority of society. 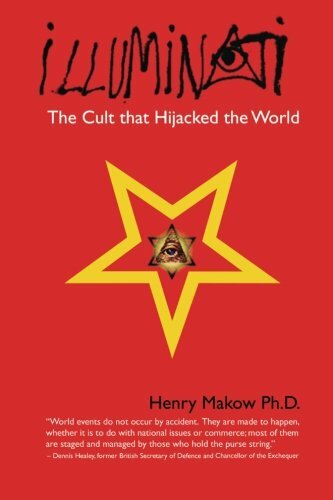 A majority of the worlds elite has been at one time or another suspected of being part of the secret Illuminati organization. They operate from the shadows, inserting subliminal messages in everything from television to music. They assumingly perform all of these tasks under the cover of confidentiality. Demonic Symbols- Such as pentagram, triple sixes, etc. A look at an illuminati Believers symbolization of the U.S. Dollar Bill. 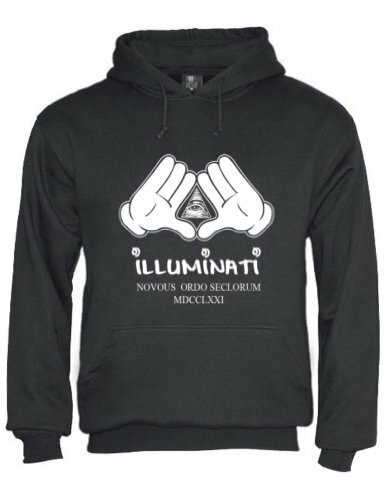 With all of these alleged Illuminati symbols, you can see how people can believe that the secret society is everywhere. The 'Peace' symbol is used all over the world. Triangular hand signs done by performers are often interpreted as pyramids, or signs of Illuminati allegience. The 'All Seeing Eye' being present on U.S. currency is most likely the root for the belief that they manipulate world currency. Even Zodiac symbols were somehow connected to the evil society. The end game for the Illuminati is to secure dominant world power. Once they attain a position of ultimate power and control, they plan to usher mankind into a New World Order. Then all of the top Illuminati members will become infinitely rich and powerful, mostly thanks to Satan. Oh, yeah, I forgot to mention the secret society also supposedly worships Satan. Believers of the secret society explain that most prominent Illuminati members attained their elite world status by selling their soul to the devil. In turn, the devil gives them mortal luxuries such as talent, riches and fame. After the Illuminati members fulfill their contract with Satan by ushering in a New World Order, there a few different scenarios conspiracy theorists have proposed. The scenarios range from mass genocide to ushering in the antichrist. A popular Illuminati symbol listed above, 'The All Seeing Eye', is also a reference to Satan. The eye, also referred to as 'The Illuminaton' represents the power of Satan and all those he watches over. It gets pretty creepy. Not all Illuminati believers preach all of these things. They all have different levels of their extreme. The parts they most agree upon are the societies grip on the world and their unsatiable hunger for power. Some of the rationalization makes sense, but there's always two sides to every coin. That was a healthy dose of legend, but what about the actual historical facts? The legend was born when a group philosophers and academic free thinkers founded The Bavarian Illuminati in 1776. The title of original founder goes to Adam Weishaupt. The Illuminati translates to 'The Enlightened Ones' and the Bavarian Illuminati believed they were enlightened above others. They opposed prejudice, abuse of government power, and supported gender equality. Not exactly the devil worshipping madmen conspiracy theorists suggest. Also contrary to legend, they were not a secret society but actually rather public. Many well recognized literary figures of the time and even some reigning dukes were openly members of the group. At their peak, it is estimated they had apporimately 2,000 members in Europe. Consistent with current beliefs, there were many skeptics at the time that were suspicious that the Bavarian Illuminati were plotting to overthrow the European government. In 1784, eight years after the founding of The Bavarian Illuminati, it was shut down after an investigation by a former ruler of Bavaria deemed them a threat to the government. After that, it's hard to really say for sure what became of The Bavarian Illuminati. Believers will insist that the group went into hiding to avoid unjust persecution for their progressive beliefs. Over time they became power hungry and corrupt, leading to the New World Order. Most reputable historians will maintain that the organization disbanded in 1784 and has not been active after that date. Since then, a secret continued existence of the Illuminati has been proposed at least a couple times. In modern times, everything from natural disasters to terrorist attacks are subject to suspicion of Illuminati involvement. Despite the lack of evidence indicating a strong Illuminati presence within positions of world power, the legend still thrives. Perhaps it's because of their fabled code of secrecy. If you don't think that they exist any more, in the mind of believers you are playing perfectly into the hands of The Enlightened Ones. 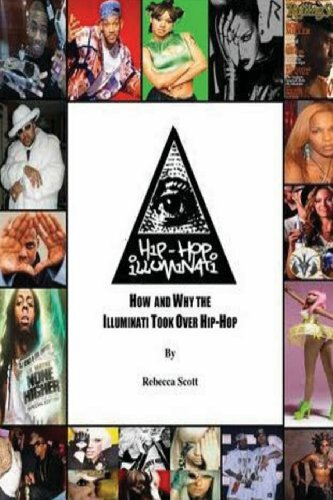 The legend of The Illuminati has became a very hot topic for debate in pop culture today. 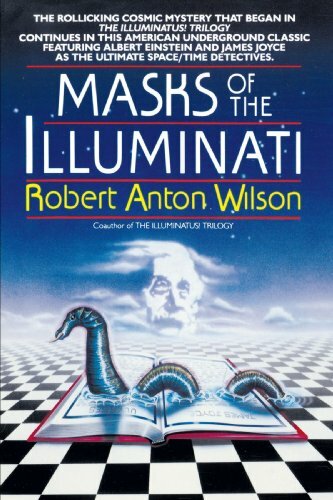 There are numerous cinematic movies, documentaries, and books featuring their take on the truth about the Illuminati. Since this is somewhat of a disputed subject, you will hear a completely different take on them depending on whose eyes you see it through. 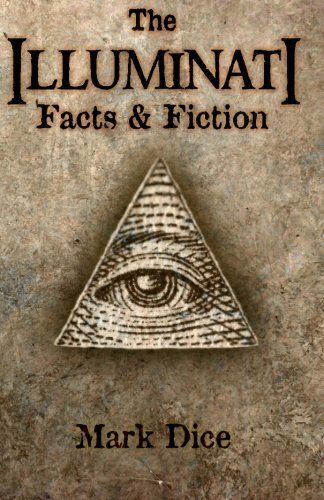 Do your own research and decide for yourself- what is the truth behind The Illuminati? I thought the all seeing eye was a symbol of freemasons? Both Illuminati and freemasons were written about in Dan Brown books, and my knowledge is limited to that. Illuminati were discussed in quite a detail in Angels and Demons :) I know he is not necessarily correct, in fact he could very well be wrong. You're correct cerande, the All Seeing Eye is a symbol used by the Freemasons. About a decade after the United States adopted the symbol, the Freemasons began to use it. The All Seeing Eye, or Eye of Providence, was originally the Eye of Horus, dating back to when we used to worship the sun. On the United States Great Seal, it is depicted inside of an unfinished pyramid. Historical version- The United States adopted the Eye to symbolize god watching over us as we build our country. The unfinished pyramid is supposed to represent our countries growth. Over a decade later Freemasons also adopted the symbol. The Bavarian Illuminati, who pretty much copied the Freemasons as a free thinking society, were such copy cats they had to use the symbol too. Conspiracy version- According to the conspiracy, the Illuminati is actually in control of the Freemasons(and all other influential organizations). They use the All Seeing Eye to symbolize Satans limitless power and control over all. Illuminati used their Freemason puppets such as Benjamin Franklin to get the symbol of their dark overlord onto U.S. Currency. The unfinished pyramid represents their New World Order not yet being complete. That's why I was a bit confused, because both of them used it! But Thanks , that explains it pretty well! I know it was probably a longer answer than you wanted but I felt compelled to explain why they both used it. Not at all! Thanks actually for taking the time to answer that in so much detail!